Carhartt's flame-resistant duck vest is quilt-lined for cooler days. 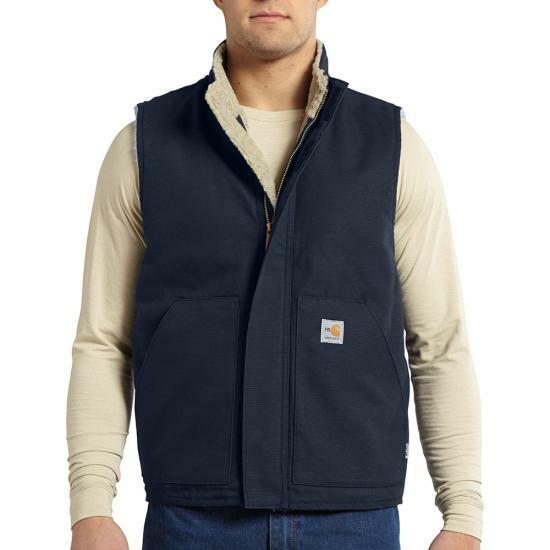 Size Large Regular back length 28"; Tall 30"
This is my 4th or 5th FR vest. 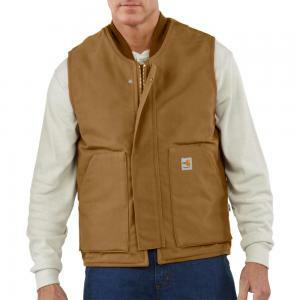 I am a repair welder and use this vest for protection and freedom of arm movement every day. If they could make grinder proof now?!?! ?